If you customize elements—such as tables, views, fields, or filters—in one project, you will probably want to use those elements in a new project. Customized elements are stored in the project in which you create them, but you can copy these elements to other projects or templates using the Organizer. If you want a customized element available to every new project, use the Organizer to copy the element to the global template. 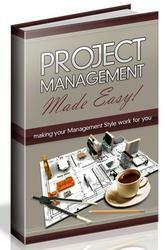 In addition, you can use the Organizer to rename or remove elements from a project or template. For information about using the global template, see "Working with the Project Global Template" on page 848. To use the enterprise global template, see "Standardizing Enterprise Project Elements" on page 621.